Apparently, it seems like Verizon will soon be introducing the purple Samsung Galaxy S3 into their device lineup – even though the Galaxy S4 has already been announced. According to sources, the purple variant is expected to hit Verizon by mid-April next month, with a more affordable price tag. 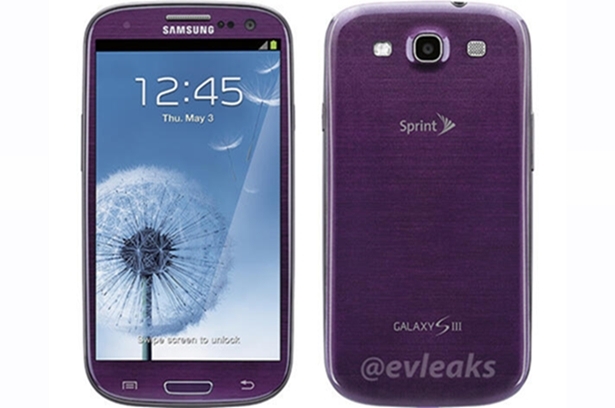 Since Verizon has yet to officially announce the purple Galaxy S3, so we’re still not really sure about it’s existence for the moment – but we have to admit that evleaks is one of the most reliable source for Android rumors and leaks. If you’re interested in this device, stay with us for more updates in the next few weeks – hopefully Verizon will release more details by then.